Compressed air is stored in four vessels 11m3 capacity at a pressure of 20bar (g).During tests air is discharged (blow down mode) through reference meters and products to be calibrated/tested. 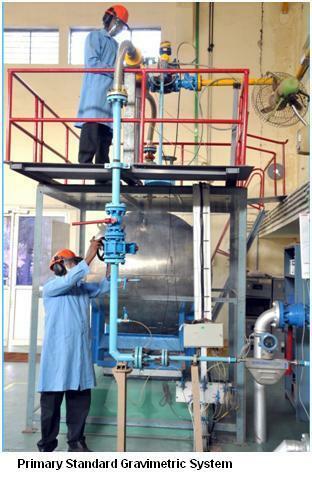 This facility is mostly used for testing of Safety relief valves and other control devices of size up to 12” NB. 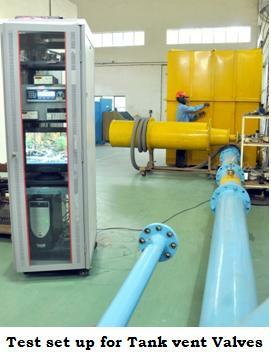 Uncertainty of flow metering is considerably improved by calibration at near operating conditions and a value of the order of 0.3% or better can be achieved in this test rig. Low pressure calibration becomes no longer acceptable for custody transfer application as it is preferable to obtain validation at close to operating conditions. Realizing these technical requirements FCRI has set up a Closed Loop Air Test Facility after taking into consideration several customer requirements. Primary Standard Gravimetric System enables calibration of meters up to 50 mm and flow rates up to 50 m³/h actual. The overall system uncertainty is 0.1%. 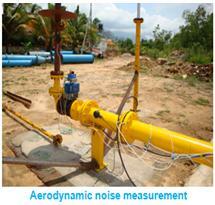 The facility can be used for calibration of Coriolis type mass flow meters up to 1,000 kg/h. 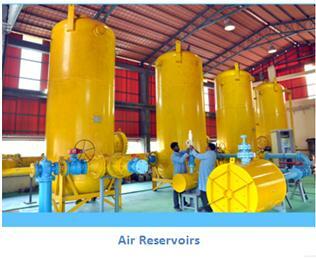 This facility is the only primary standard in India for gas applications. The electronic precision comparator provides accurate mass measurement with 1g sensitivity in its capacity of 1200 kg. The precision dome loaded pressure regulator maintains the pressure in the test set up. The critical flow venturi nozzles with different throat diameters controls the flow rate . 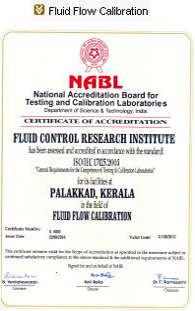 The 20 bar facilities including Closed Loop Air Test Facility (CLATF) and Primary Standard Gravimetric System (PSGS) are accredited by NABL as per ISO 17025 norms. 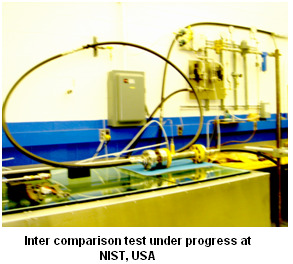 Netherlands Measurements Institute (NMi) , The Netherlands, certified the Closed Loop Air Test Facility (CLATF) and Primary Standard Gravimetric System (PSGS) during November 2002. 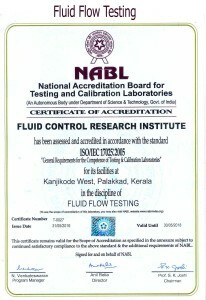 In addition to NABL certification, these facilities are also recognized worldwide. Inter-comparison program Traceability of basic quantities such as mass, length, time or derived quantities like pressure, viscosity, density etc. 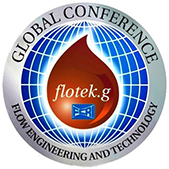 established to the relevant national standards alone is not sufficient for overall uncertainty assessment due to lack of absolute knowledge of all sources of systematic errors associated with flow measurement and further, the quantity is a time integration of instantaneous flow rate. 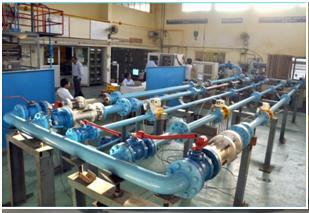 Upstream Pipe configuration, type of compressor/pump and quality of fluid etc. influence the measurement. Hence to validate the complete calibration system, equipment and personnel, an inter laboratory comparison has to be performed. When two or more laboratories participate in the exercise, the total picture of the quality can be observed. 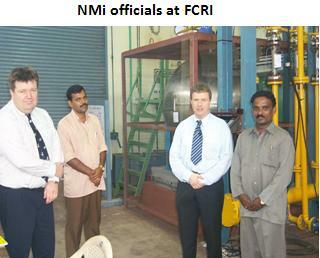 This Laboratory has participated in two such programmes.